Known fondly around town as “Kits”, the neighbourhood has undergone several personality shifts since the early 1800s when the Squamish people moved into the area. Named for their chief August Jack Khatsahlano, the area stretches between West Point Grey, Fairview and is bordered by the south shore of English Bay. Largely residential, the remnants of a 1920s apartment boom is still apparent in the Tudor Revival along Cornwall Ave. But beyond the eclectic mix of architectural styles that make up the neighbourhood, Kits is better known for its two main retail areas along West 4th Avenue and West Broadway, restaurants, and organic specialty stores. Two of Kitsilano’s best known landmarks were constructed in the 1930s: the outdoor saltwater public pool right on Kits Beach and the Burrard Bridge that irrevocably expanded downtown Vancouver to the Westside. After the Squamish people relinquished their hold on the reserve land to the federal government in 1946, Kits went through a hippy phase in the 60s as an inexpensive place to live. The Naam restaurant at 4th and Macdonald still stands as a reminder of those days, serving up vegetarian, vegan and natural foods. Kits still plays host to Greek Day and the outdoor Shakespeare festival Bard on the Beach in Vanier Park as a testament to the area’s varied cultural past. Slowly gentrified by yuppies and young families, the neighbourhood retains a relaxed atmosphere with easy access to 17 beaches, parks, and close in proximity to both downtown and Granville Island. It’s also home to current and former famous residents David Suzuki, actors Ryan Reynolds and Joshua Jackson, and hockey players Trevor Linden and Ryan Kesler. Not to mention that Kitsilano is fittingly the birthplace of famed yoga brand Lululemon Athletica. 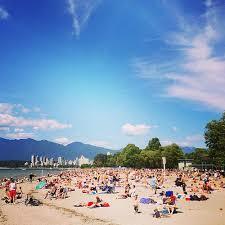 Keep an eye out for our listings in lovely Kitsilano! Looking for something even more posh? Read our spotlight on Shaughnessy. You can always contact us for a consultation, as well.